Easy to Make. Elegant to Wear. Smalltalk Memorabilia. Knit and crochet classes for individuals or groups. Instruction at Itza Knitterie or elsewhere, weekdays or Saturdays. 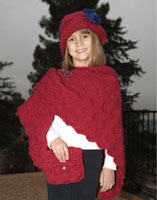 designs original knit and crochet patterns which are available here and at fine yarn shops nationwide. 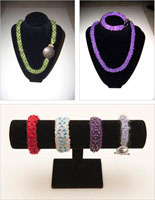 Evelyn teaches knitting and crochet in Southern California and is available to teach nationally and internationally. 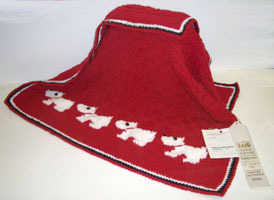 She has 40 years of knitting, crochet, teaching, and design experience. Evelyn offers a unique approach to instruction, giving students the tools and training to not only master techniques, but also unleash their own creativity and personalize their designs.